From drinking water and economic benefits to enduring sources of adventure and inspiration, our rivers, creeks and bays give us so much. It’s important that we don’t unknowingly damage these precious water habitats as we hike along them or paddleboard across their surfaces. Thankfully, we can rely on guidelines like Leave No Trace to help us respectfully enjoy these places. Leave No Trace ethics are best known by the widely-adopted set of Seven Principles that teaches people how to responsibly enjoy the outdoors while limiting their impacts on natural areas. While mountains or forests may be the first things that come to mind when presented with the principles, their importance can be even greater along our rivers, streams, bays, and other waterways. 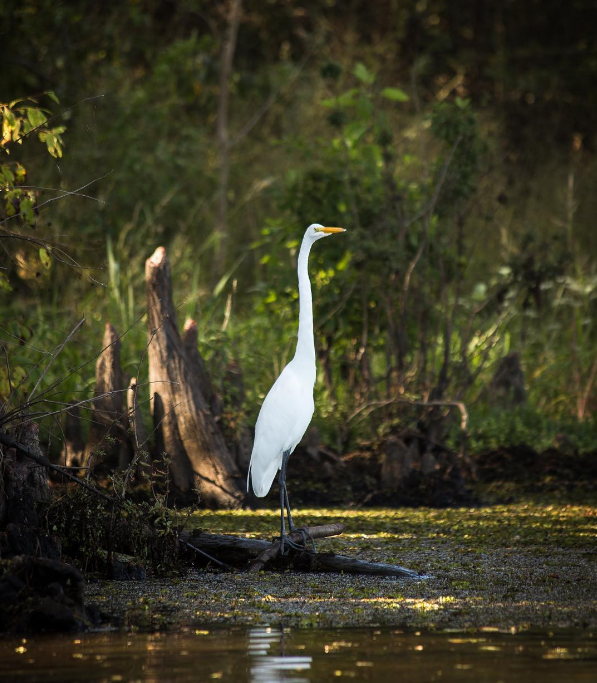 This is because the natural movement of water disperses impacts far and wide and affects so many aspects of the surrounding environment, including wildlife. Plan Ahead and Prepare. Check for required permits and local restrictions before entering the water with your canoe, kayak or paddleboard. Travel and Camp on Durable Surfaces. Consider tides and rising river levels to make sure you keep a proper distance from the water’s edge when pitching a tent. Dispose of Waste Properly. If you’ll be taking snacks out on the water, plan to bring the wrappers back in a reusable dry bag so they can be disposed of properly. Leave What You Find. Take pictures of that beautiful coral or river rock, but refrain from bringing a piece of it home. Minimize Campfire Impacts. Bring a gas stove for cooking – if you’re in a river valley, there might be limited space to build a mound fire. Respect Wildlife. Avoid feeding the fish or letting your child “play” with a crab. Instead, appreciate the wildlife you see from a distance. Be Considerate of Other Visitors. Don’t hang out on the boat ramp, as others may need to access it to get their boat in the water. Remember that sound travels over water – refrain from loudly playing music that may disturb both wildlife and other visitors. 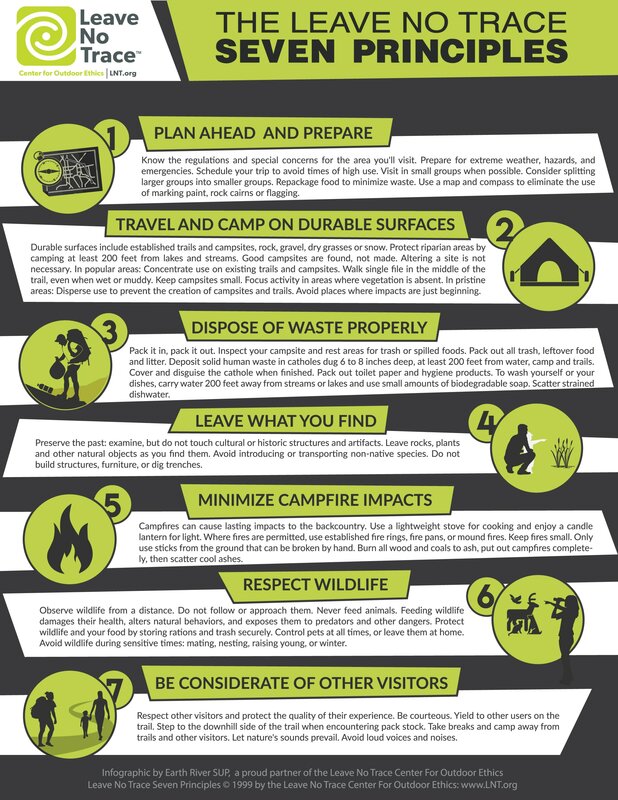 These are just a few examples of applying Leave No Trace principles to specific situations involving water. 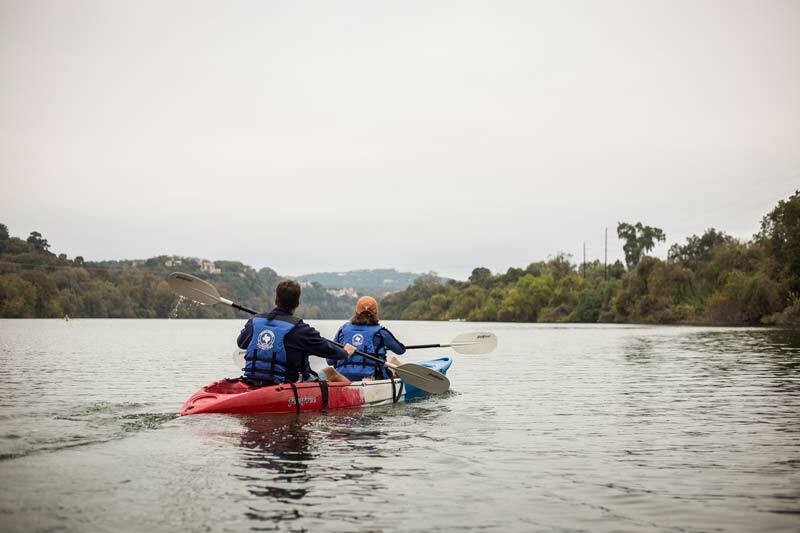 As you explore Texas’ beautiful waterways, remember to take into consideration things like runoff, shore erosion, and sensitive aquatic organisms, and adjust your thinking to limit your impact in accordance with the Principles. Observing the Seven Principles no matter where you are outdoors will help keep the water and its surroundings pristine for others to enjoy. Michael Katz directs conservation and community outreach programs at Earth River SUP, a US-based manufacturer of inflatable stand up paddle boards and accessories and a Leave No Trace business partner. 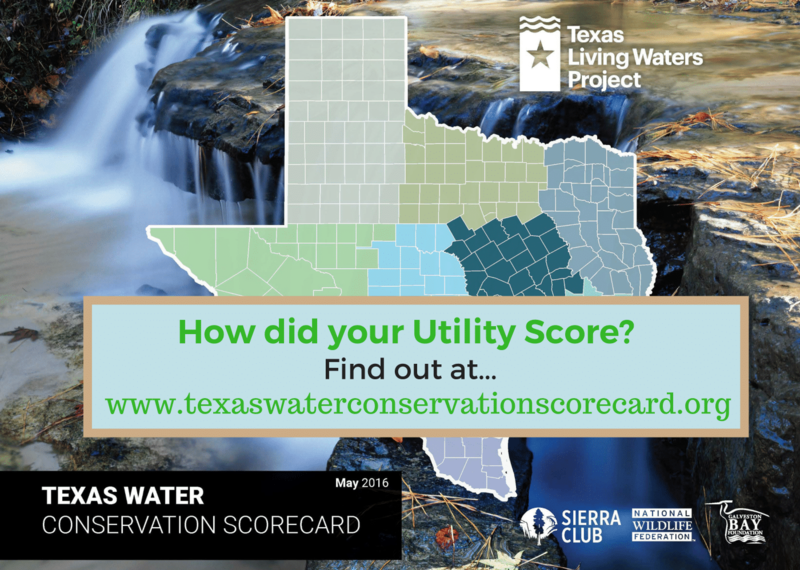 The Texas Living Waters Project is transforming the way we manage water so there will be enough for our wildlife, our economy, and our kids. Forever.